According to this Q & A, it's very likely that the Soyuz spacecraft's orbital module can be manually separated independent of other spacecraft operations. 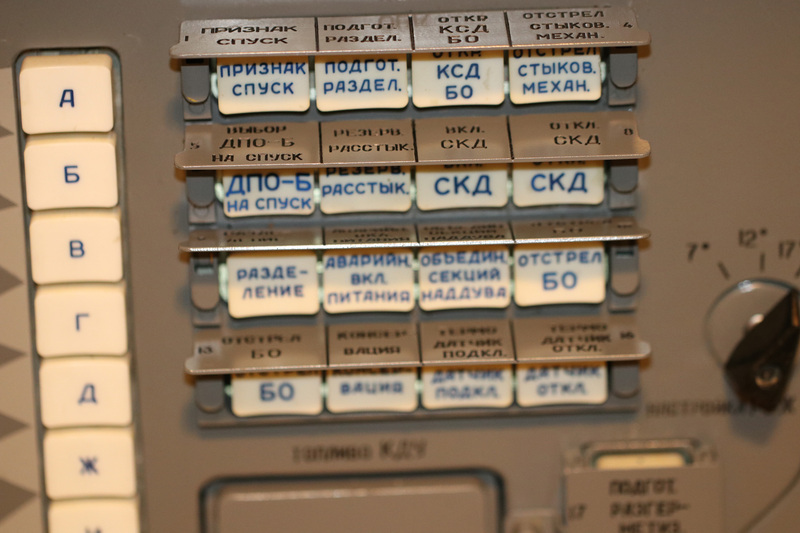 I note that three of the buttons (#3, #12, #13) are labeled with "БO", the abbreviation for бытовой отсек (bytovoi otsek), or Orbital Module. I don't know any Russian, so I can't tell what the remainder of the labels say. It looks like buttons #12 and #13 are labeled very similarly if not identically. Are any of these labels plausibly interpretable as "separate/jettison/disconnect orbital module"? Any transliteration/translation/interpretation of the other controls is welcome in addition. 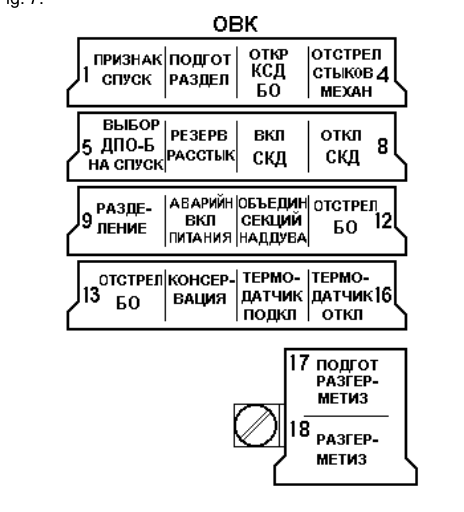 The 12th and 13th Critical Command Keys "ОТСТРЕЛ БО" are БО (Orbital Module) Jettison. The БО separation (jettison) can be executed either automatically on the nominal separation schedule within the unified cyclogram or on the ОВК12 and ОВК 13 Critical Commands in case of the urgent descent before the СКД (Orbital Maneuver Engine) ignition for retrofire. Source: Soyuz Crew Operations Manual. This is all I can find from there on the Critical Command Keys. Configur Depressurize (sic) Arm the depress system? Not the answer you're looking for? Browse other questions tagged spacecraft soyuz-spacecraft russia or ask your own question. What influenced the shape of the Soyuz descent module? How similar are Soyuz and Progress? How Soyuz spacecraft still in service, even though one of it module displayed at museum? What module(s) on the ISS do the Soyuz dock to? Are any parts of the Soyuz capsule re-used or re-manufactured? What does the abbreviation “MS” for the current Soyuz version name mean?